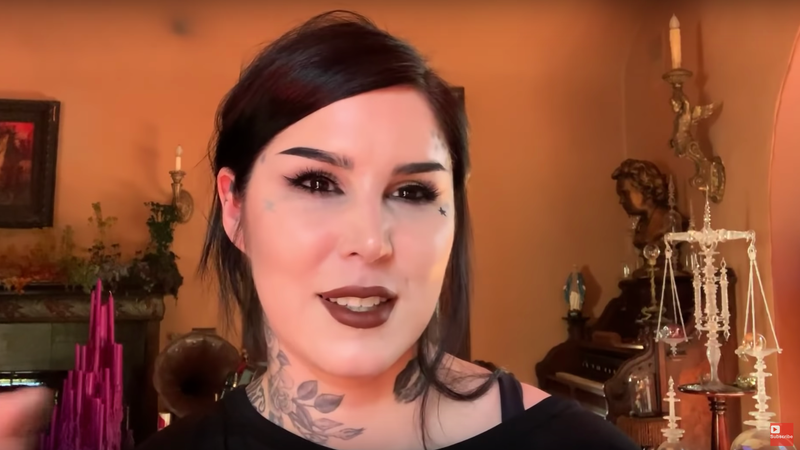 In the vlog, Von D alleges an abusive work environment on the show Miami Ink, which led to her quitting off camera and creating the spin-off L.A. Ink. She says that a disgruntled co-worker, who she theorizes was insecure about Miami Ink’s future with L.A. Ink on the horizon, “forged [an] anti-Semitic message” on a copy of her headshot, sparking rumors that she was a Nazi back in 2007. “Overnight, I was just falsely branded as an anti-Semite and I had no idea how to handle it or what to do,” she recalled, adding that producers believe her and that’s why they chose to move forward with the new show. “What I am is a first-time mother. I’m one of those moms that reads everything. I mean I read everything from ingredients in foods to cleaning supplies to medicines—basically anything that is going in my baby or on my baby, I research like a complete and total nerd. “I experienced some hesitancy” differs greatly from telling your followers, definitively, that you’ve made the choice to raise your child “without vaccinations,” all while your husband is sharing anti-vax films on Instagram despite the fact that the anti-vax movement is not based in science, but I digress. This is YouTube, so take it for what you will.